My always go to comfort is pasta. 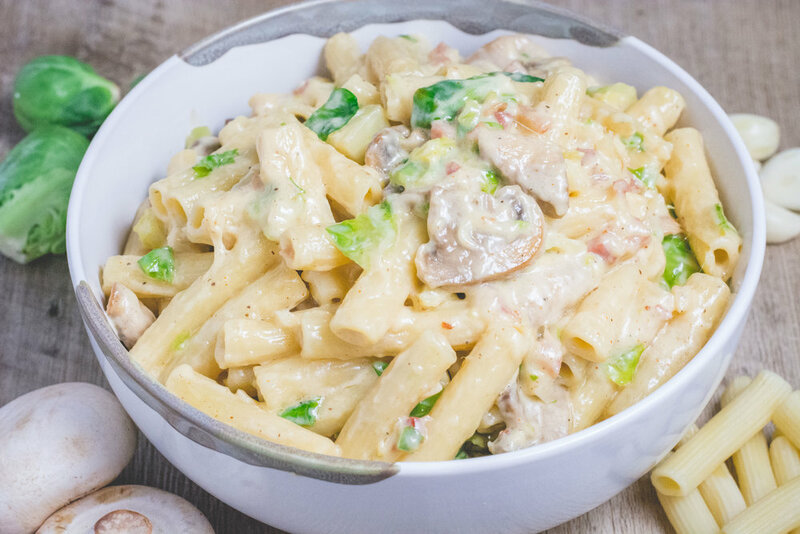 Creamy pasta with little to no meat. It just always feels so right. My kids and I love brussels sprouts, so I feel like I am always looking for other ways to cook them besides roasting in the oven. So in order to make this pasta have like 3% of healthiness to it, I added them here. Ha!